We have the settings, the facilities and the expertise. We just need the occasion! From milestone birthdays, weddings and anniversaries, business meetings to christenings and parties: we have the settings, the facilities and the expertise, we just need the occasion! Sunset cocktails, beach parties and barbecues, dinner parties, private meals or special celebrations... the choice is only limited by your imagination. Surrender to the many diverse options and themed parties especially catered to suit you need. 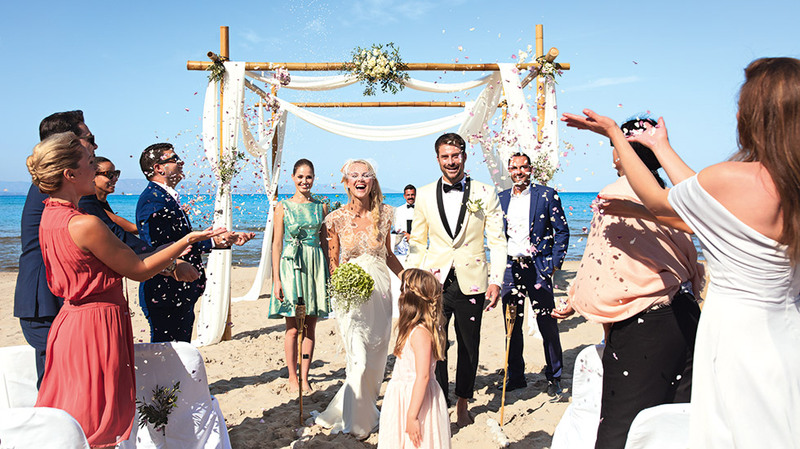 Amirandes Grecotel Exclusive Resort is dedicated to make your dream day extra special and an absolute success. Simply select from the a la carte extras to customize your day. Signature treatments for Her/Him to relax before the Big Day!